This giant sunflower is a fun take on the classic educational wall chart. 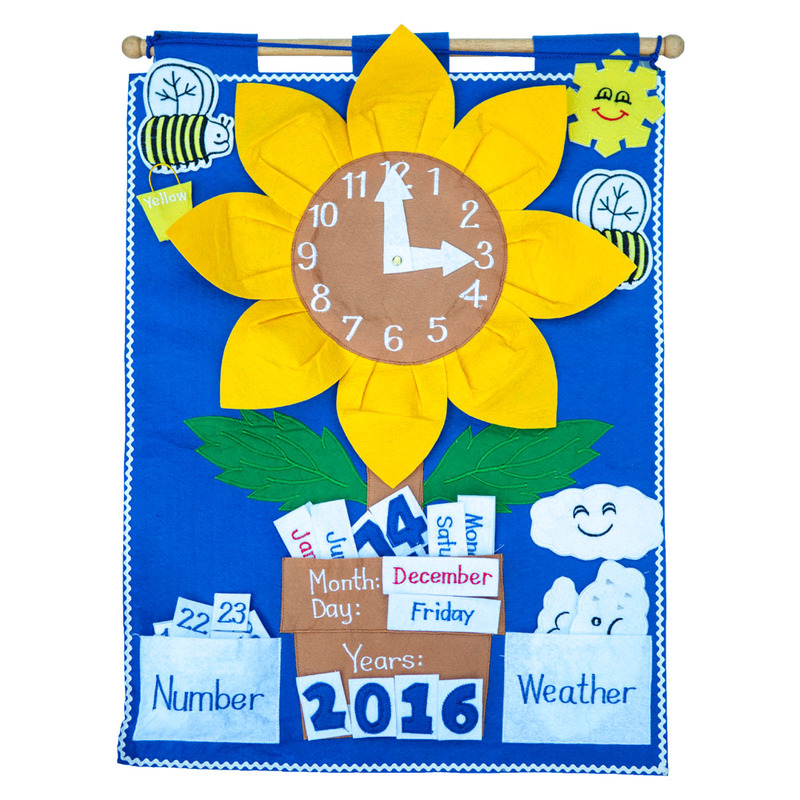 The centre of the yellow sunflower is a soft clock face with white embroidered numbers and two large white hands ideal for little hands to turn as they learn to read the time. The front of the flower pot is a summary box where children can affix their selected soft month, day and year soft tabs. There are also giant bees and a spot to display today's weather in the form of a cloud with a cute expressive face.